"I enjoy having the pleasure to work with both highly valued clients to meet their engineering needs as well as our talented and creative staff." Having the pleasure to work with both highly valued clients to meet their engineering needs as well as our talented and creative staff is what Kreg enjoys most about his work as Vice President, Metro Operations and Emerging Markets Leader. 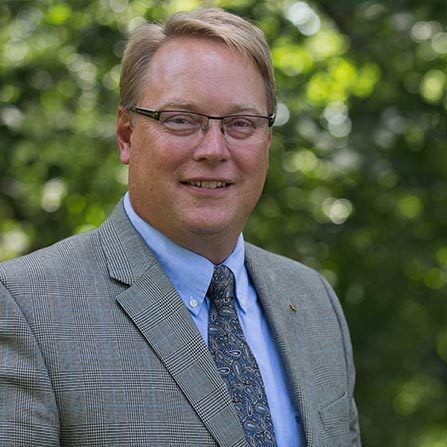 Beginning his career in 1988 as a registered engineer, Kreg's background includes evaluation, planning, design, and implementation of municipal engineering projects related to streets, sanitary sewer systems, water systems, stormwater systems, and residential, commercial, and industrial development. He has extensive experience working on multi-jurisdictional projects and is familiar with the funding and financing tools available to cities, including the State Aid process. When not working for communities, Kreg and his family can be found volunteering in them, truly enjoying helping to meet the needs of various groups and organizations.